This weekend started out Friday night at the Bistro UK at Champions Gate. They were holding a little shindig for the royal wedding. It was cute. And the chicken curry there is good. 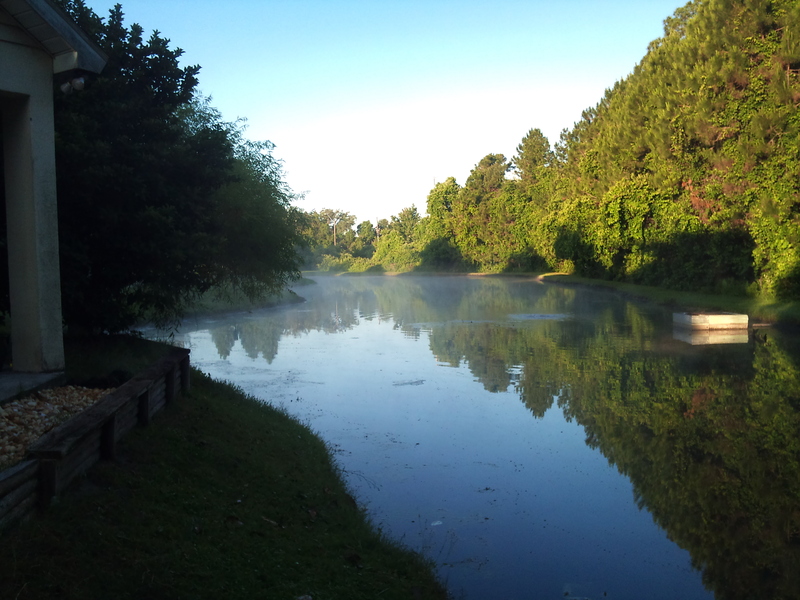 Saturday, I woke up early and mowed the lawn. 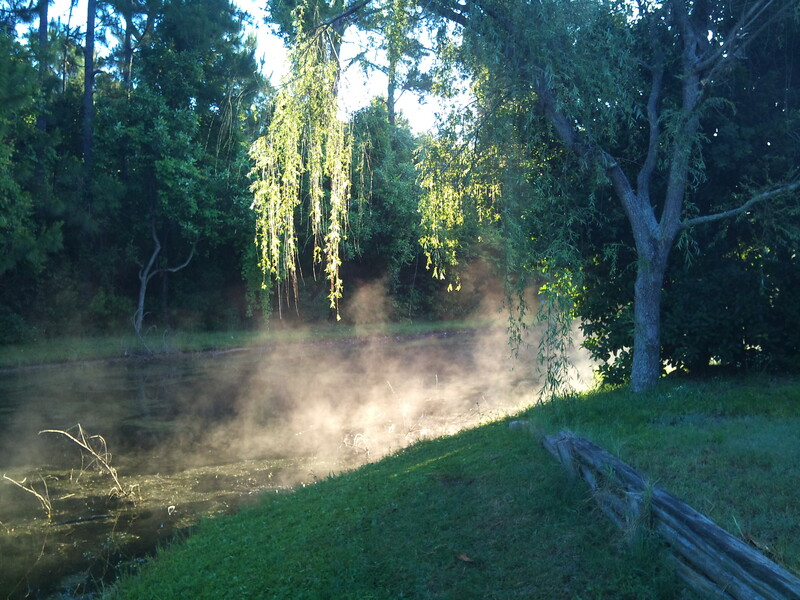 My backyard was pretty with the steam rising off the glass-smooth pond. After I was done mowing the lawn, it was time for the community yard sale. I didn’t have very much to sell, but I went through the DVDs and found some we could part with, and then some magazines and comic books, and a few toys and set them out. 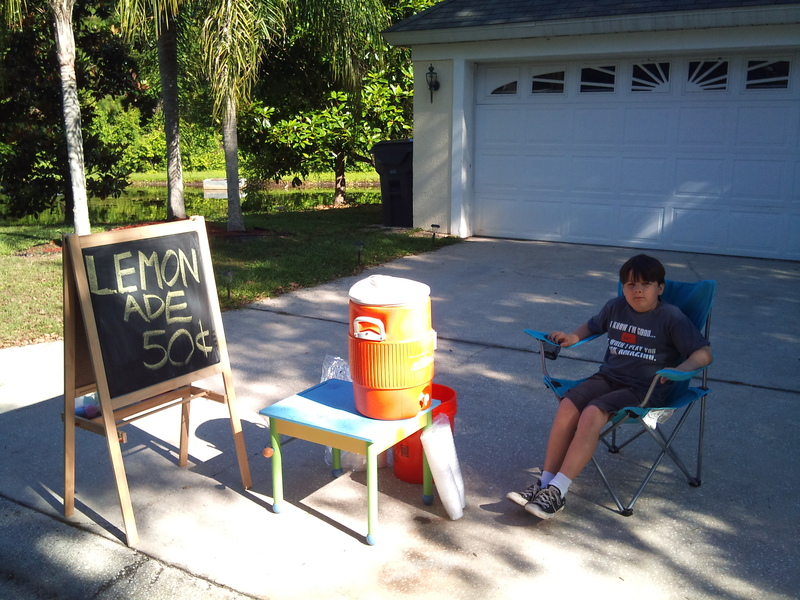 But Alexander set up a lemonade stand and he did really well. Of course, people just hand him money for being cute, so he rakes it in. All told, we made $55. The soundtrack for the day, and the whole weekend really, was the soundtrack for Lemonade Mouth, the most recent Disney Channel Original Movie. The movie and the songs are great. I’d read the book over the summer and enjoyed it, too. I’ve heard that the author is penning a sequel, so things are just beginning with these kids, and Alexander is really into it, and knows most of the songs by heart and sings along. We listened to it at the garage sale, in the car, and in the house throughout the weekend. After we closed up shop, Alexander wanted to use his well earned cash to buy Lego. 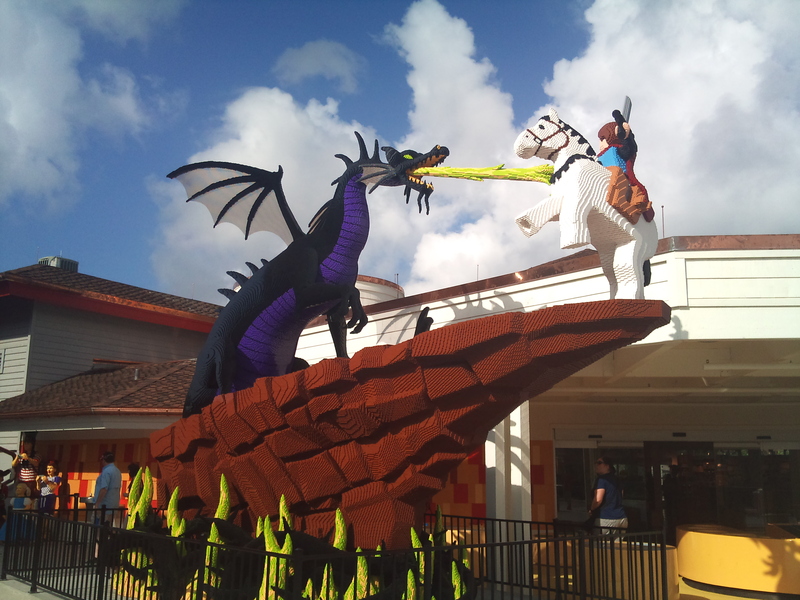 The Lego store at Downtown Disney has recently be updated, and they have awesome models out front. Alexander picked a Lego model from the new Pirates of the Caribbean movie On Stranger Tides that is the fountain of youth and has minifigs of Jack Sparrow, Barbossa, and Blackbeard. And when we checked out, they had a special where we got a Lego Universe minifig for free (astronaut in an orange spacesuit), and a free copy of the Lego Universe online game. After Alexander built the model, he played Lego universe for the first time… after I installed it which seemed to take forever. I think it was more than an hour to install off the disk from the box and then install all the patches that it wanted from the internet. That was not a good first experience. The game when it first came out was about $40, I believe. It’s now retailing for $10 and with that comes a month of free online play. After that, you have to pay $10 a month. Alexander had fun playing it, but $10/month seems kind of pricey for the experience. The Disney Online games are better – Club Penguin, Pirates of the Caribbean Online, World of Cars… I’d rather spend money for those than Lego universe, even though I like the concept of building in the world, so far what I saw was a lot of World of Warcraft style hack and slash stuff, though it’s hacking at plastic, so by nature, less violent. Saturday night ended with a new episode of Doctor Who. If you haven’t seen Doctor Who, you should try to check it out. It just started a new season on BBC America. You should be able to find the first two episodes On Demand. This morning, we had a day out, starting with breakfast at Panera Bread. I usually love Panera, but first, they forgot to give me change, then they messed up my order, and then my breakfast sandwich had soggy bread. Three strikes. Alexander and I then went to see the early showing of Hoodwinked 2: Hood vs. Evil. I didn’t have high hopes for the movie. I’d seen the first Hoodwinked, and thought it was good, but the previews for this one didn’t impress me. Fortunately, the stuff in the previews doesn’t show much of the movie and the clips are mostly from the first 20 minutes of the film. The best part of it is really the humor in the script. I can’t just say the script, because the plot was a yawner, but the jokes are spot on at a superficial level for the kids, and at a deeper level with rapid fire asides that only adults will get. I laughed out loud plenty. Alexander had to ask me what was so funny a couple of times when jokes sailed over his head. The rest of today was spent helping Alexander with his multicultural fair project for school. His class is doing projects on Asia, and they got to pick whichever country in Asia they wanted. He picked South Korea, because Amy is there. 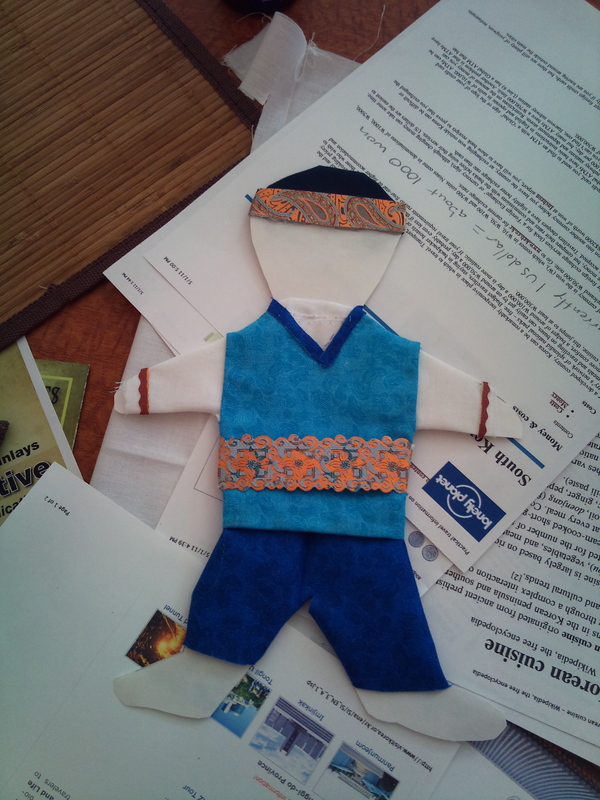 For the project, he has to dress a paper doll in the traditional clothes of the country, and make a travel brochure. We hit up JoAnn Fabrics for some fabric and ribbon we could use. Alexander picked out the fabrics, and did the cutting. I manned the hot glue gun. I think it turned out pretty well. The travel brochure is a work in progress. We did most of the research. He is going to write about food (kimchi), landmarks (the DMZ), celebrations (Children’s Day), and currency (won). Those are the weekend high points. There were other good meals, other bad meals, grocery shopping, dishwashing, but I’m surprised you even read this, so I won’t push my luck!